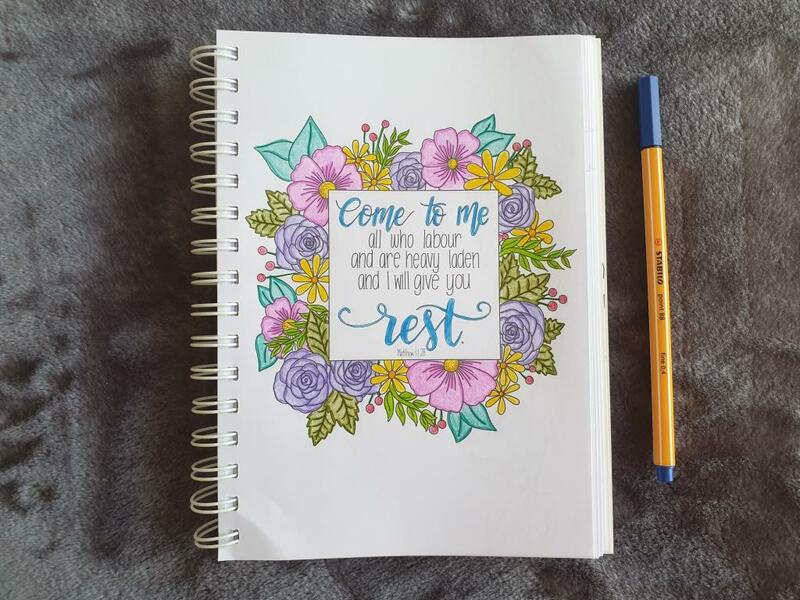 A couple of years ago when the adult colouring trend began I had the privilege of reviewing Reflections - More Beautiful Bible Verses to Colour by Lorien Illustrations. 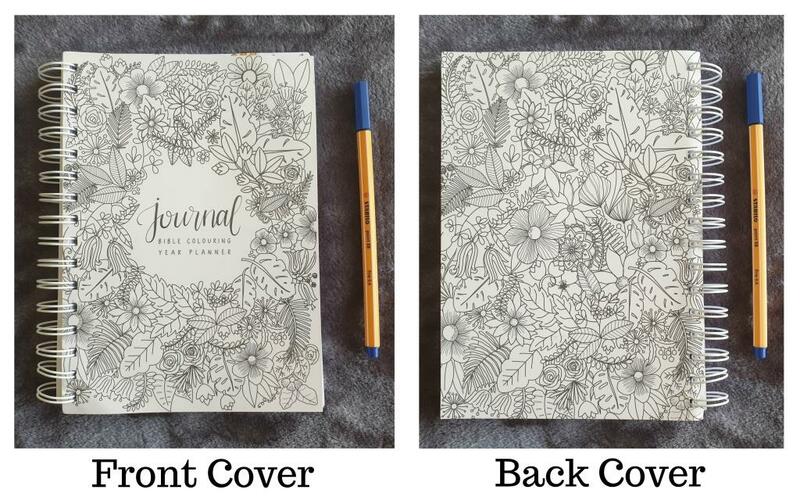 I recently discovered that she has a new product, a Bible Colouring Journal and Year Planner. Lorien shared a few teaser posts in the Facebook group Colouring In Truth and my curiosity was awakened. Cover of thicker card stock (300 gsm) with a gloss protective coating to enhance durability. This can be coloured in using a permanent Sharpie-style pen. 258 pages printed on 100 gsm paper. Binding Spiral. The publisher chose a spiral binding to make it easier to fold back the pages for ease of colouring without ruining the book. Scriptures are quoted from the English Standard Version by Crossway Bibles. 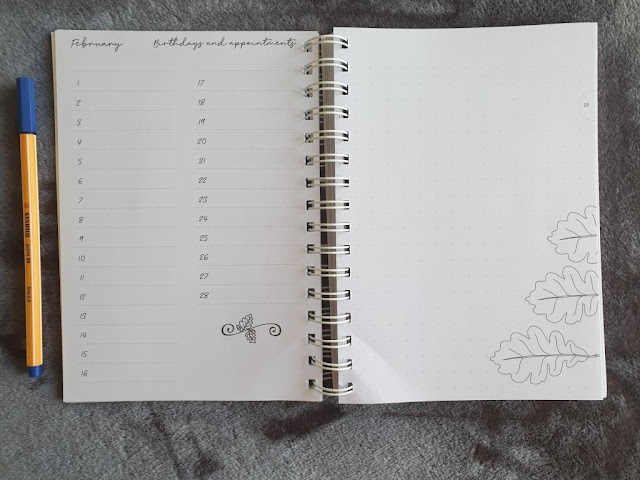 The journal has a 'Growth and Life' theme throughout. Page 1 is a copy of the cover for you to colour and personalise. Page 2 is for your personal information with a lovely first full page drawing on the facing page. Page 4/5 contains a How to use this Journal informational page. Page 6-9 is an index containing a lined/numbered two column listing which has page numbers listed for you to personalise what's on each of the pages numbered. 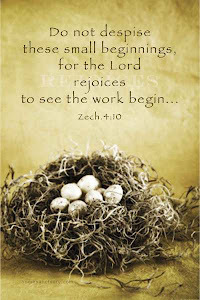 Pages containing scriptural illustrations are listed in their respective page number block by scripture reference. 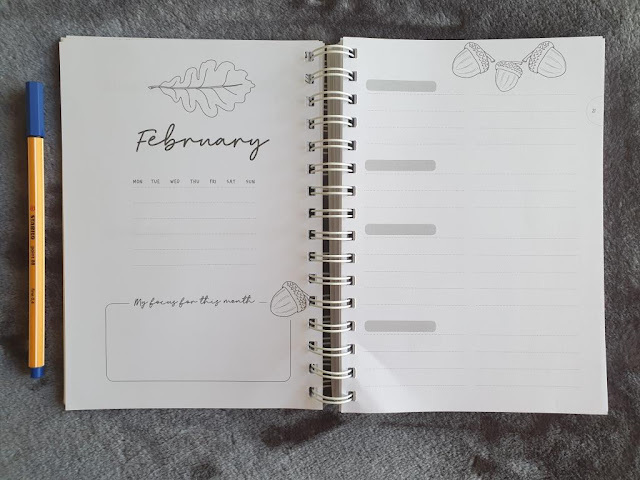 Month Ahead - Plan your month - Left page has the month name, space to write the dates into a date by week calender with a box for you to write in your focus for the month. The right hand page is a lined page with customisable areas for you to write notes in for your month ahead. 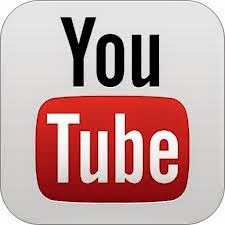 Looking Back - Review the month just gone by. The left hand page has space for you to reflect and answer four questions: What I learnt, Significant Things That Happened and What I Could Do Better. The right hand page is divided into two columns with two customisable spaces in each and the bottom of the page has an encouraging scripture. 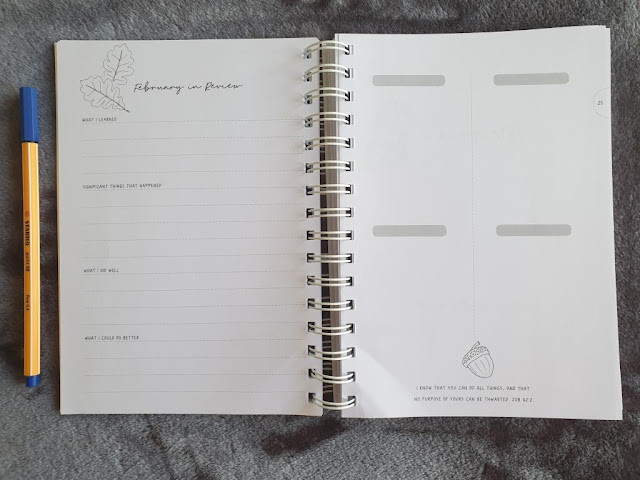 Each of these pages have spaces, occasional headings, blank spaces for you to personalise your own headings according to your own personal need. Pages 88 to 203 contain a double page week at a view diary. 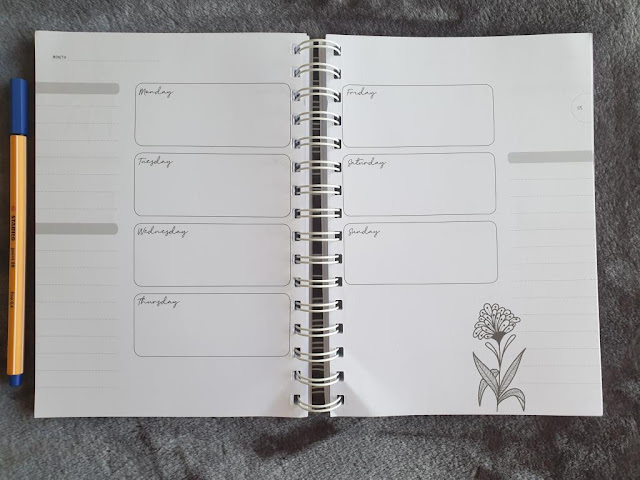 There are 52 weekly spreads with flexible and untitled spaces meaning you can start your diary and label it to suit your own purposes. The top of the left hand page has space for you to write the month. There is a column on each side for extra note with blocked out areas for each day of the week. Full page scripture art pages are interspersed throughout. There are a total of ten full page, illustrated scriptures to colour. There are smaller 'Growth and Life' themed drawings on every page for you to colour and personalise your journal. 206 - 253 Adventure page spreads. 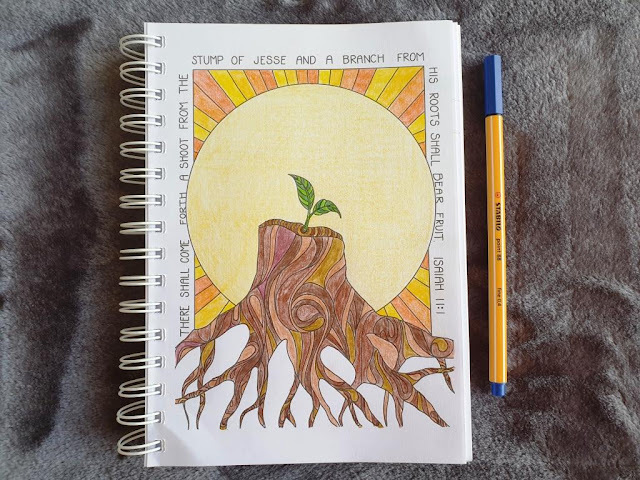 These contain an encouraging scripture and more themed drawings for you to colour. 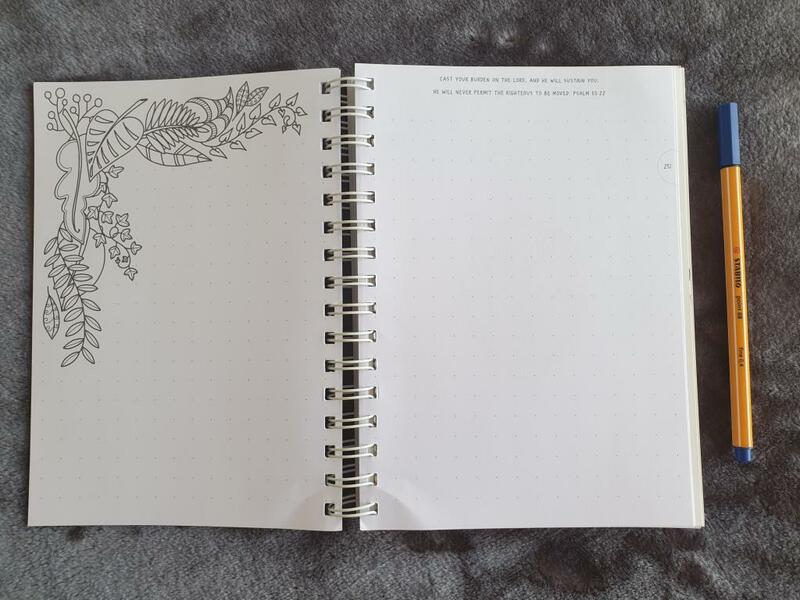 These pages are there for you to choose how to use them to meet your need in the journal. 256 - Copyright information. 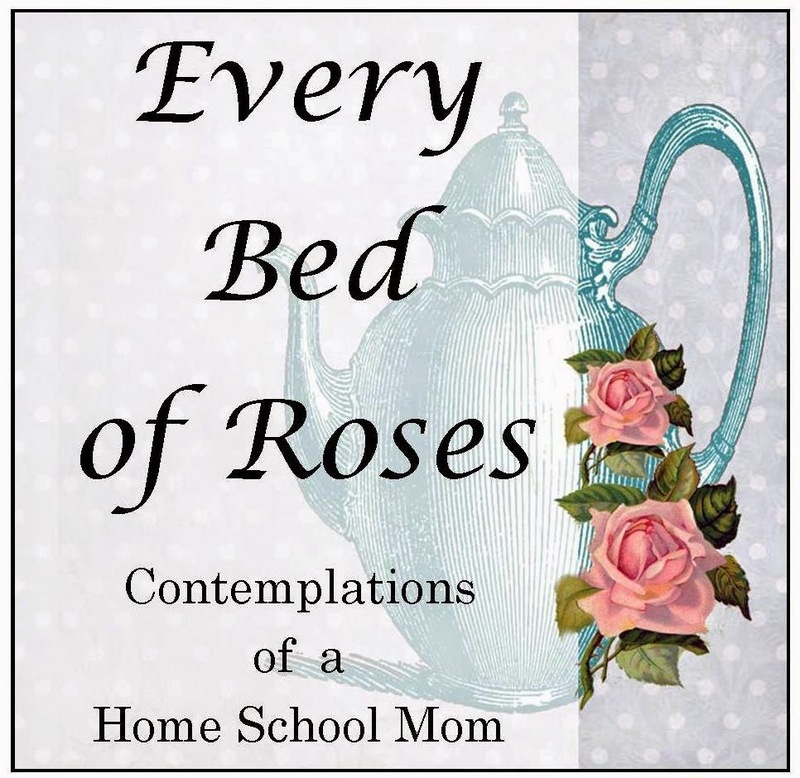 You will also find information on how to access the extra's and printables for your journal from Firewheelpress. The journal bonuses include: step by step instructions on how to use your journal, 450+ idea/prompts. Lorien has designed postcards, books marks and published colouring books for purchase. To see more of Lorien's beautiful illustrations visit her blog. 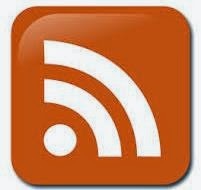 Lorien has some FREE pages for you to download and print in the File section of her group page. Be sure to see who the author of each picture is as Lorien encourages us to draw our own pictures and share them with the group. For colouring inspiration take a look at the Photo's of completed works on Facebook. 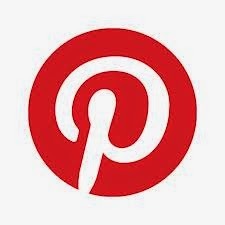 Join the Colouring In Truth group on Facebook. Share your completed works using the hashtags:#colouringintruth and #lorienillustrations, plus #JournalBibleColouring or #meditations or #reflections depending on the book you are colouring from. 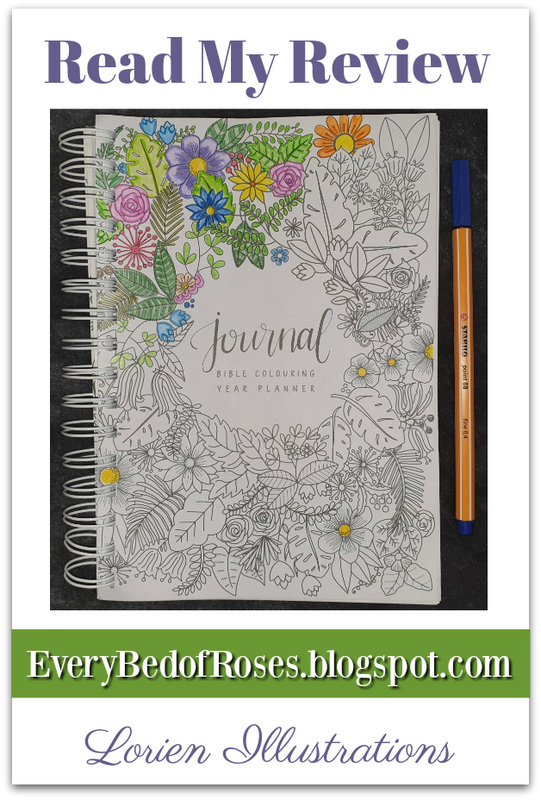 Bible Colouring Journal and Year Planner is a beautiful journal. I love the quality and have been using water colour pencils to colour the line drawings. Each scripture has been chose to bring encouragement and meditation upon the truth of His word. This journal has been thoughtfully designed with a beautiful balance between design and space to allow for your creativity to be expressed. 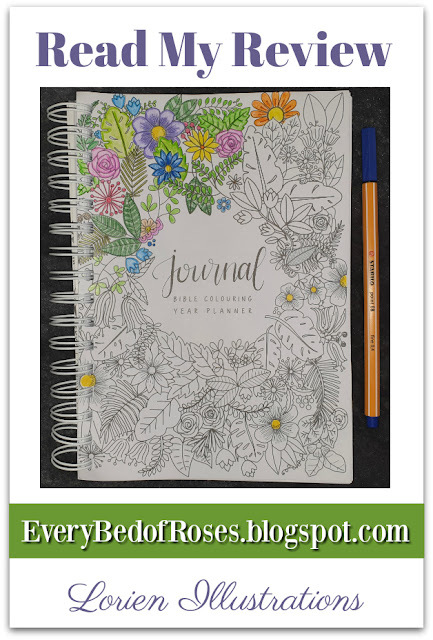 I've been enjoying colouring the beautiful pictures in this journal. 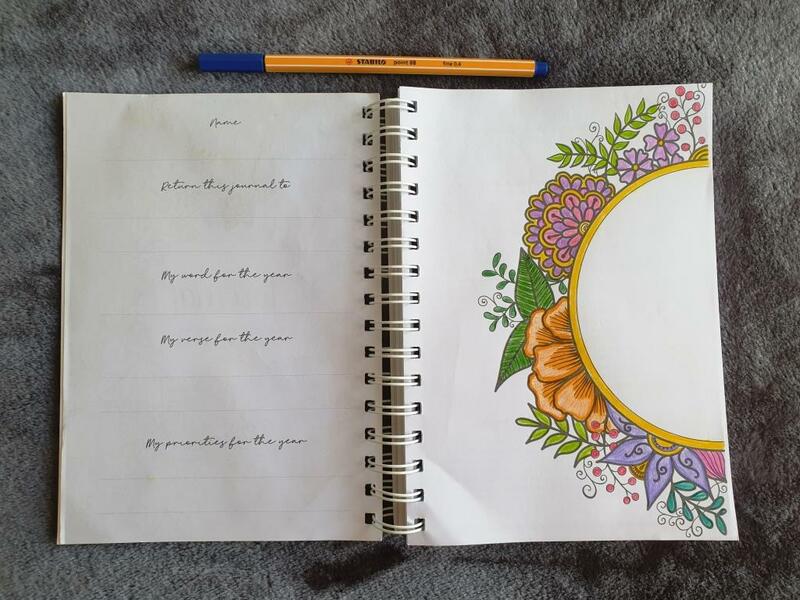 I was originally going to use it for a diary for next year, but the more I coloured in the more I wanted to keep it perpetually. A few years ago I read One Thousand Gifts : A Dare to Live Fully Right Where You Are and feel that I need to start counting my blessings. Starting in January I will be using my new Journal as a place to count my blessings and name them one by one.